Is there a picture anywhere of this barge, or any other information? 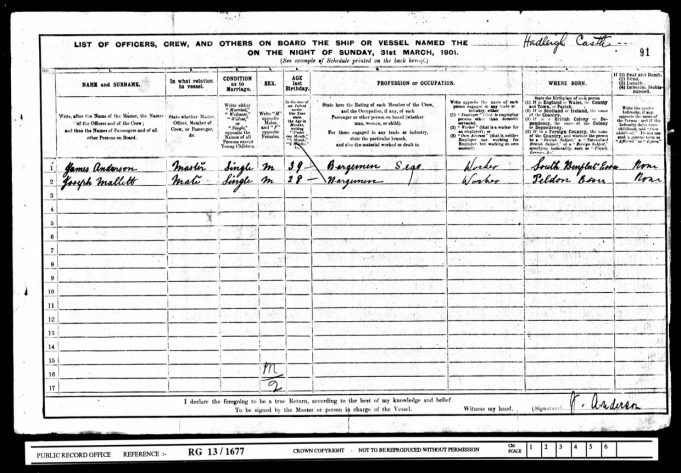 According to the Census 39-year-old James Anderson from South Benfleet was Master Bargeman in 1901 and his mate was 28-year-old Joseph Mallett from Peldon. Both men were single.